19mar12-Replace Rockwell bridge, worry later? Replace Rockwell bridge, worry later? IT WAS the “Bridges to Nowhere” in 2005, when overpriced steel spans were built in the most unlikely places, making them virtual arches of gold for some officials in cahoots with the runner of the British suppliers. Dozens of these Bailey-type bridges were found to lead to dead ends, to span dry river beds, and at times just lead carabaos to the greener side of the meadow. Yet the administration kept approving repeat orders. The “Bridges to Nowhere” come to mind as we are stuck in traffic while Chinese workers dismantle the perfectly usable bridge on Estrella Street connecting the Rockwell area in Makati to the Barangka neighborhood in Mandaluyong across the Pasig river. With China delayed in its delivery of a $24-billion package of investments, loans and aid that was promised President Duterte during his visit to Beijing in 2017, officials are reportedly looking for quickie projects to show to the skeptics in Manila. Two bridges across the Pasig have been chosen: The Estrella-Pantaleon (Rockwell) bridge and another one to connect Binondo and Intramuros, which together are covered by a P5.27-billion Chinese grant. Targeting of the Estrella bridge looks odd to many netizens and the 25,000 or so motorists displaced daily by the closure of the practically new Austrian-made span to give way to a Chinese replacement set for opening in 2021. One oddity is that there is no urgent reason to demolish the Estrella span. Opened in December 2011, it is still safe and stable. The only excuse we have heard for its removal was that it is “pangit” (ugly). Casting around for a technical reason, some officials caught a comment of seismic experts that the bridge may not withstand the “Big One,” a killer tremor they feared could hit any time. But which bridge or public structure could survive a magnitude-8 earthquake? The original bridge is covered by a 36-million-euro (P2.109-billion) concessional loan from Austria. Even as it is now being torn down, the Philippines is still paying for it. What a waste! The four lanes of the Chinese design versus the two lanes of the Austrian original can double its carrying capacity. The problem is that right after the short span, the heavier traffic will run into the narrow streets on the densely populated Mandaluyong side. Clearing the vicinity for a wider road connecting to the Boni thoroughfare will involve right-of-way acquisition, an expensive and time-consuming process that may delay delivery of the project beyond 1,000 days. Motorists and residents familiar with the Noah’s Ark structure near the foot of the bridge on the Mandaluyong side together with other major construction in the area readily see this point. But with Duterte and his Chinese counterpart in a hurry to show the benefits of their collaboration, in the case of the Rockwell bridge and the other one in Binondo, they would address later whatever problems may arise now. Meantime, it is full speed ahead! • If the bridge ain’t broke why fix it? I think I speak for the vast majority of affected road users and taxpayers when I say that we desperately need you to reconsider the demolition of the Estrella-Pantaleon Bridge (Rockwell to Mandaluyong). At least until we have a few things clarified. This affects too many people to just pass off as a “contribution to our quest to spur vibrant economic activities through an efficient and reliable road transportation network.” We need more than that. We need details. Above all, we need a convincing explanation as to why this even needs to be done. The need: There is no public demand to rebuild the bridge at all. This is an unnecessary amputation of a perfectly healthy vital organ. That the Estrella-Pantaleon Bridge was inaugurated in 2011makes it younger than most of the vehicles traversing it. Not only has it not been proven to be structurally unsound, but it was constructed using Austrian public funds as part of a project that built 19 weather-resistant bridges in the Philippines. Wouldn’t demolishing their bridge in order to reconstruct a new Chinese-funded bridge burn our bridges (pun intended) with the Austrian government (and possibly other countries) and reﬂect negatively upon DPWH, and the Philippine government? The 30-month construction time: Loosely translated, that’s 25,000 cars a day that need to find a new way for 1,000 days. In the most densely populated city on earth. How will this be managed? Especially since there’s also a scheduled rehab of the Guadalupe bridge this April to address cracks and structural integrity. We have not seen any viable rerouting schemes. The cost: P1.229-billion? The current one was P300 million. The logic: Have you studied the option of widening it? How about just picking a new spot in the area and have two bridges instead of one? Because 30 months of closure to replace a perfectly good bridge when we could build an additional one with little to no disruption at all seems like the logical choice. The bottlenecks: DPWH claims that the new bridge can accommodate 1.3 million cars — which is great, except that the roads surrounding the bridge will be like the entrances to a Black Friday sale if the new four-lane bridge will still lead to Barangka Drive, a two-lane road. 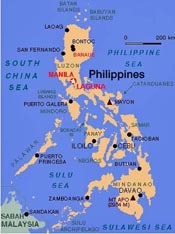 Your contractors: If it is true that the partners for this project are CCCC Highway Consultant Ltd. and its subsidiary China Road and Bridge Corp., these Chinese companies have been blacklisted by the World Bank for fraudulent practices in another infrastructure project, the Philippines National Roads Improvement and Management Project. How is this ok now? Right of way: Infrastructure projects are often plagued with right of way issues, as in another DPWH project, the NLEX-SLEX connector road, whose construction has been blocked by challenges. Considering that the construction has not yet begun even two years after the contract was awarded, how are we assured that the contractors for the Estrella-Pantaleon Bridge have acquired all necessary rights of way?